t’s hard to watch our pets age and a trip to the vet can be stressful. Now, there’s a new option to help pets live out their final years in comfort. Bella isn’t getting around quite like she used to The 13-year-old. 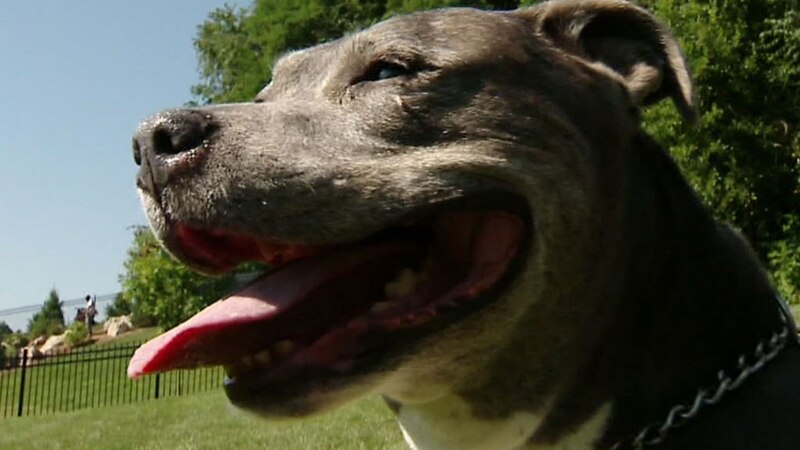 58-pound pit bull has been part of the Lynch family since she was 13-weeks-old. But, her years have caught up with her. Bella had previous knee surgeries, suffered a fractured pelvis when she was younger, and now lives with arthritis and has also developed cataracts. That’s where veterinarian Dr. Erin Gorney comes in. She is part of a growing company called Lap of Love. “I would just do a little bit at a time until you see how she responds to it,” Dr. Gorney said. Lap of Love started a in 2009 in Tampa and has expanded to include 70 vets in 24 states. The veterinarians provide in home hospice care for aging pets. Vets preform exams in the comfort of the pet’s normal surroundings and work with families to maintain quality of life. “On average, our appointments are at least an hour, but we take as much time as we need. There’s never any rush. We’re here as long as we need to be, which is really impossible to do when you’re in a clinic setting,” Dr. Gorney said. After Bella’s consultation, Dr. Gorney decided to put her on some pain medicine to help with the arthritis. She also suggested the family add carpet runners on some of the hardwood surfaces to help her get around better. “For me as a pet owner, as my pet gets a little bit older, understanding what she’s going through to help make the right decisions for her based on her health. So, it’s been a very good experience,” Michael Lynch said. Dr. Gorney agreed that Bella still has a lot of life left in her, but one thing she discussed with the Lynch family is in home euthanasia. The in-home consultation, which includes treatment plans, is $265. It’s hard to watch our pets age and a trip to the vet can be stressful. Now, there’s a new option to help pets live out their final years in comfort.